Blog » On-page SEO » What are Internal Links and Why You Should Start Adding Them Right Away? By creating internal links your website bounce rate will decrease. Internal links are an important part of on-page SEO. Interlinking between pages and posts of your website will help Googlebot crawl your website pages easily. Have you come across a website, which has great content and you want to read more but you don’t find many internal links? I don’t know about you, but I see this kind of websites quite often. How much do internal links hold the value in terms of SEO is another story but it is one of the crucial things to improve user experience on your website. 1. Internal – Links that are moving users to different pages of the same website. 2. External – These are links that move users from one website to another website. How to Create Internal Links? The secret to creating internal links is to write content on a topical basis. For example, if your content piece is telling people how to solve a particular issue in “XYZ” then you should also cover all the underlying issues people usually face when doing “XYZ”. You can link articles which are discussing same or similar topics with each other. How many Internal Links are Too many? According to Google Webmaster Central, you can create a few thousand internal links per page. Those are a lot of links. I would suggest you keep it under 100 links so people can easily follow those links. Do you need to create Internal Links on every page? Not necessarily, you can create posts and pages without adding internal links but the problem is that if you keep doing that your bounce rate will increase. Internal links are a great way to reduce bounce rate on your website. However, it is advisable by many SEOs that you should link at least 2-3 pages on your website from the new one. It is an ideal scenario, however, if you don’t use internal links, there won’t be any negative impact on your website’s SEO. Ideally, a descriptive anchor text that defines the linking top will give you more impact in terms of SEO as well as UX. I would suggest you keep your anchor text a little explanatory so people can understand the context better. You can add links anywhere you like. Different kinds of internal links have different placement order. For example, if you want to place a call to action, it would be good at the end of the paragraph. Another good way to add an internal call to actions is to use it between the article in a CSS styled box. I usually place mine at the end of the article which is a good place because if someone like your content they are more likely to be clicking on that link. However, you can try different strategies and find out which is giving you more clicks. Should You Link Every Page with Each Other? It sounds to me impossible unless you have written on one topic and preplanned. However, it is a good practice to link to pages which are relevant and answering questions on the same topic. 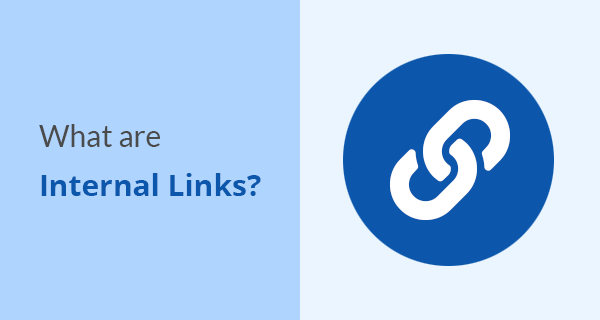 Why Internal links are important in SEO? Google bot find out new pages through internal/external links. For example, if Google crawls a Wikipedia page on cars, it will also likely follow all the links mentioned on that particular entry. It will build up your page topical context in Google and hence I believe it is one of the ranking factors. How do I create Internal links? You can create internal links by updating your current and old blog posts link them together as much as possible. Where you see a need for linking to the old content page, you should do it. There is no perfect rule to create internal backlinks. I don’t think there’s much have written on this topic. I hope this article cleared some misconceptions about internal links. If you want someone to improve internal links on your website, you can check out my on-page SEO services.